YOU DO THE SPORT, WE'LL DO THE TROPHIES! Engraving work is carried out on pieces available from a range of suppliers: to view their catalogues or to see some examples, click here. 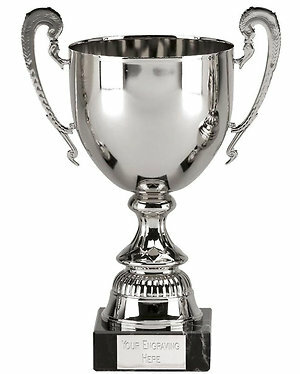 We also offer a Bespoke Trophy Service, with custom-made Trophy designs. Email or call us for more information, or if you have any questions about our glass and silver engraving service. Orders can be made with no minimum quantity, payments made through most major credit cards and all items can be shipped worldwide.